Tufts of white smoke wafting above the Vatican & we have a New Pope!!! 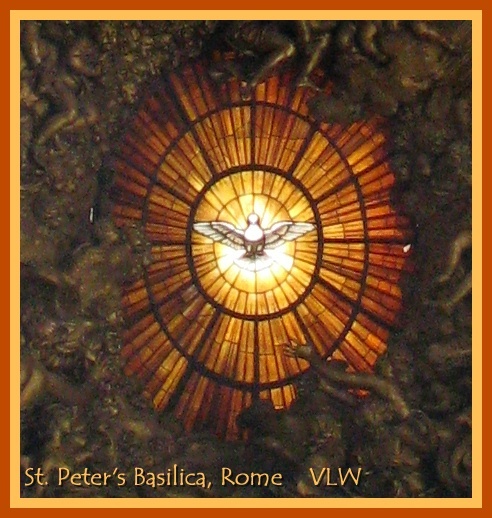 This evening (Italian time) the world welcomed Pope Francis at the 265th successor to Peter. Argentinian Cardinal Jorge Mario Bergoglio, archbishop of Buenos Aires, is the first pope from the Americas (the first outside of Europe in 1,300 years) & the first Jesuit to be elected pope. As we watched Pope Francis… wait, isn’t it so very vool he chose the name Francis? There’s so much meaning – if for St. Francis of Assisi: humility, simplicity, peace-building & ‘building the church.’ If for St. Francis Xavier – what an evangelist! But methinks ’tis St. Francis of Assisi. Since I am a HUGE GROUPIE of St. Francis, this is very good. Exceedingly good. Back to Pope watching — as Pope Francis came out on the balcony to greet the masses gathered in St. Peter’s Square ’twas deeply moving to witness his humility. Before giving the grand finale first blessing at the end of his first speech, he asked the crowd (& the rest of the world watching) to take a moment of silence to pray for him. yes, he needs our prayers (!!) but to humbly put that priority out there in his first public address bespeaks well, methinks, of how Pope Francis views his new job: difficult, nee almost impossible. But with God, NOTHING IS IMPOSSIBLE, even leading 1.2 billion Catholics in a church fraught with challenges amidst a world wracked with even more complicated challenges. My one God, strengthen me. May this be our prayer for Pope Francis, that God will strengthen him each & every day, week, hour, minute of his new pontificate. This entry was posted in Lent, Quotes and tagged cardinal jorge mario bergoglio, Catholic Church, faith, inspirational quotes, Jesus Christ, Lent, Pope Francis, prayer, religion, Saint Ignatius, the jesuits, the Pope. Bookmark the permalink. 10 Responses to Pope Francis… & prayer…. hey virginia! i’ve been totally absent on wp, but i swear that i have every intention of catching up–i am so impressed with your post-a-day for lent! Go you! i hope you are pleased with the selection, and i wonder what you think might evolve in the next few years for the church??? hmm. fun to think about that! Very big oranges indeed, thank you for your kind words! “His people love His person, His government, and His laws! Whatever the sovereign King does–pleases all His redeemed people. He is the omnipotent Lord God–and He reigns and rules over all! Thank you so much, Cin, for these words of rejoicing. I didn’t know anything about Cardinal Jorge Bergoglio before yesterday, but after reading about his life & seeing his first actions as Pope – your sis is Very Grateful to God! Yes, very exciting. I loved that he told the cardinals that he had to go back to the hotel to pay his bill. And, after they elected him, he said to the cardinals, “May God forgive you!” So he has a sense of humor too. 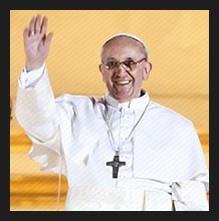 SO liking what I am hearing about Pope Francis!